Save an estimated 12% to 18% over reactive maintenance. North Carolina Alternative Energy Corporation found that 90% of units tested exhibited some sort of energy wasting problem, 50% of those systems had improper refrigerant charge, 40% failed to meet minimum airflow requirements (only 20% were inside the range set by the manufacturer). Further studies showed that a 20% deficiency in air flow can decrease SEER rating by 17%, and that a 15% return air leak can cut efficiency in half! Texas A & M University found that systems that are undercharged by as little as 23% could result in a 52% efficiency loss. Lakeland Electric and Water researchers found that repairing leaky duct could reduce cooling energy by 17.4%. Louisiana State University and Gulf States Utility found that customers could save an average of $30.00 per month just by making sure their furnace and air conditioner was serviced and cleaned regularly. Maintenance is so important to keep your energy bills down and your system running properly. Having a professional contractor in for bi-annual checkups helps keep air conditioning and heating systems operating at peak performance, reduces the cost of ownership, and extends the life of your system. Maintaining equipment prevents unnecessary problems and extra costs. With proper maintenance, a new air conditioner should last 12-15 years, and can last much longer than that in some cases. Another benefit of A/C Maintenance Agreements is improved reliability. A clean HVAC unit has fewer repair calls than one that is not maintained. 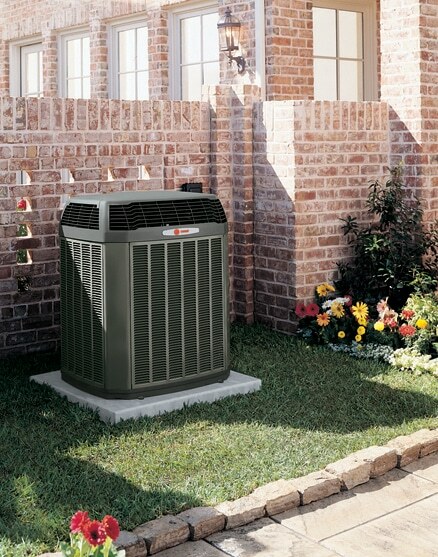 Also, a clean HVAC unit operates more efficiently and saves you money on your utility bills. Consider it to be an insurance policy with maintenance costs the premium being paid to reduce the chances of a system failure. A/C Maintenance Agreements from Forest Air help avoid breakdowns plus it protects and prolongs the life of your equipment. As a Forest Air preventive maintenance agreement customer you always receive priority service! Contact us today to get your agreement. Click here for more information.